by Matthew Lippincott January 31, 2017 Time to read: 5 min. In 2016 I completed the first known study to examine the impact of mindfulness on leadership effectiveness. The study included interviews with 42 senior and executive leaders, documenting reports of the influence of mindfulness on their leadership careers at a total of 83 global organizations. All of the participants had completed mindfulness training, and incorporated that knowledge into their daily leadership activity. I also used the Emotional and Social Competency Inventory (ESCI) Model developed by Daniel Goleman and Richard Boyatzis to identify the presence of Emotional and Social Intelligence Competencies that have been empirically linked to increased leadership performance. What is Mindfulness? How is it related to Self-Awareness? Mindfulness has been studied in clinical, military, professional sports, and corporate settings for more than 30 years. This research has associated mindfulness with a significant number of benefits, including increased employee job performance ratings and reduction in stress and anxiety. Neuroimaging has also been used to investigate the effect of mindfulness, indicating a change to the brain’s physical structure and functioning relating to reasoning, inhibition, and decision-making. Scholars agree that mindfulness is a state of consciousness consisting of awareness and attention. Clear focus of attention on the present moment, including experience and events. Ability to change the level of non-judgmental attention. Awareness of shifting attention between the inner self and the outer world. The easiest way to understand mindfulness experientially is to focus all of your attention on your thoughts, feelings, and actions as they occur. Mindfulness training will strengthen Emotional Self-Awareness, the first Competency of the ESCI model, which falls under the domain of Self-Awareness. Emotional Self-Awareness is our ability to recognize our emotions, how our experience affects our feelings, and discern the relationship between how we are feeling and our actions. In this context, mindfulness enhances your self-awareness capabilities by helping you develop the ability to monitor and understand emotions as they arise. Awareness and understanding of your feelings is key. 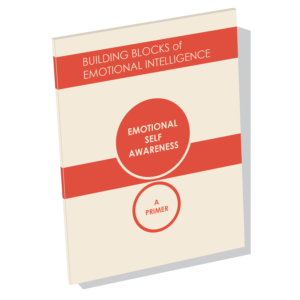 Developing Emotional Self-Awareness is a crucial first step in effective leadership because it lays the foundation upon which the other eleven Emotional and Social Intelligence Competencies are built. We can’t develop skills like Emotional Self-Control, Empathy, or Teamwork unless we are coming from a place of Emotional Self-Awareness. It gives leaders the necessary information about themselves and the effectiveness of their interactions so that they can monitor their emotions and manage their behaviors accordingly. 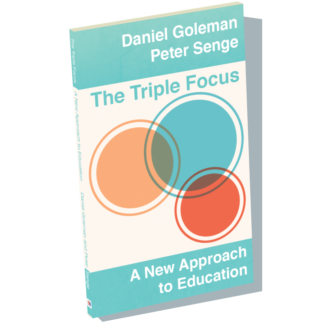 Significant, positive impact on leadership effectiveness, supported by extensive examples of workplace results. 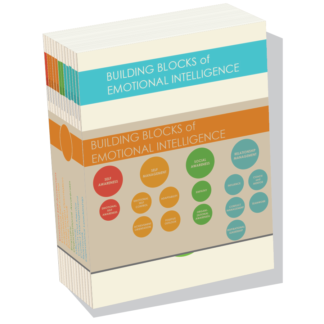 All 12 of the Emotional and Social Intelligence Competencies linked to leadership performance were identified in each of the participants. Reports that mindfulness enhanced cognitive function and recognition of how emotions influence mental performance and behaviors. 98% of participants described a transformation of their fundamental understanding of what effective leadership is. 79% of participants reported stronger interpersonal relationships resulting from greater authenticity, honesty, and vulnerability in their interactions with others. Extensive indications of enduring (trait) behavioral changes, which is supported by the Emotional and Social Intelligence Leadership Competency Model. The results of this study also align with other research indicating that improvements to leadership effectiveness may be achieved more quickly and with a higher rate of success through the incorporation of formal mindfulness training. This is partially due to the role of mindfulness in enhancing Emotional Self-Awareness and the Emotional and Social Intelligence Competencies. 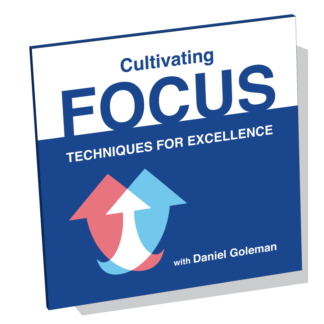 This complementary relationship helps leaders to identify what types of behaviors are required for specific situations, and also strengthens their ability to determine whether or not those behaviors are effective. The scientific basis for these improvements is believed to be based upon repeated activation of neural networks through training focused on developing self-observation capabilities. 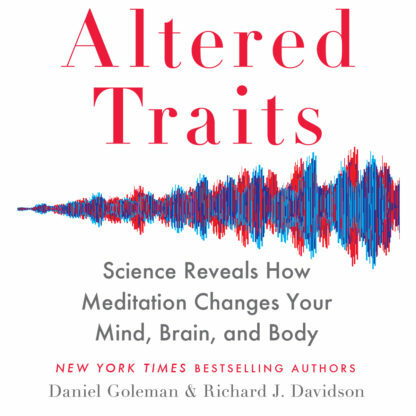 For example, neuroscience studies indicate that mindfulness may change the way neural networks connect with each other. Researchers also indicate that these changes may contribute to an improved capacity for activation of regions of the brain associated with more effective situational stress response and adaptability via neuroplasticity. These changes may improve your ability to activate regions of your brain that help you respond to stressful situations. A quality mindfulness training program will typically last at least 8 weeks with a minimum commitment of 30-40 minutes a day. This time requirement is likely related to the fact that changes to neural networks require repetition in order to take hold. Online and print-based home study options exist, as do a growing number of apps that help deliver training more conveniently. So how can you develop mindfulness and Emotional Self-Awareness in order to become a more effective leader? Committing to the completion of a mindfulness training program administered by a certified individual or organization is the fastest and most reliable way to experience these benefits. In fact, the use of mindfulness in the workplace can begin shortly after training starts, so enrollment in a quality program is also the fastest way to start experiencing results. There is variability in the quality of programs so a safe bet is to look for programs based on the proven and highly regarded Mindfulness-Based Stress Reduction (MBSR) program developed by Jon Kabat-Zinn. Extensive instructor training and certification programs have been in place for years. This means that you should have no difficulty finding courses being designed and delivered by credentialed experts with in-depth experience. The more you can incorporate deliberate and improvised mindfulness practices into your daily routines, the more you will begin to experience the positive results associated with mindful self-awareness. These results are based on how you use your new insights into the effects of your thoughts and feelings on your workplace behaviors. Therefore, in my next article, I’ll share findings from my study relating to how mindfulness and Emotional Self-Awareness relate to the Emotional and Social Intelligence Competency of Emotional Self-Control. Interested in learning more about Emotional Self-Awareness? Our newly released Primer provides a concise overview of this Emotional and Social Intelligence Leadership Competency. 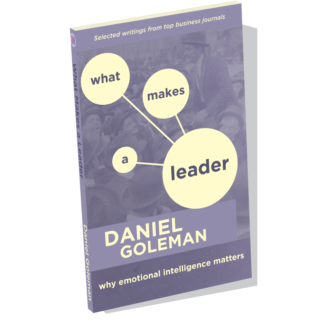 It is co-written by several thought leaders in the field of emotional intelligence, leadership development, and research: Daniel Goleman, Richard Boyatzis, Vanessa Druskat, Richard Davidson, and George Kohlrieser. See the Primer here. Dr. Matthew Lippincott has Doctoral and Master’s degrees from the University of Pennsylvania CLO Program, where his research focused on organizational leadership, EI and mindfulness. He is also a founding partner at a day surgery center in Texas, and has a background in healthcare growth funding and business development. Dr. Lippincott’s dissertation examines the benefits that organizational leaders attribute to mindfulness.